The Model 10 and Model 11 parts washers are a deluxe option for drum-mounted parts washing solutions. This simple setup is geared for on-the-spot cleaning. 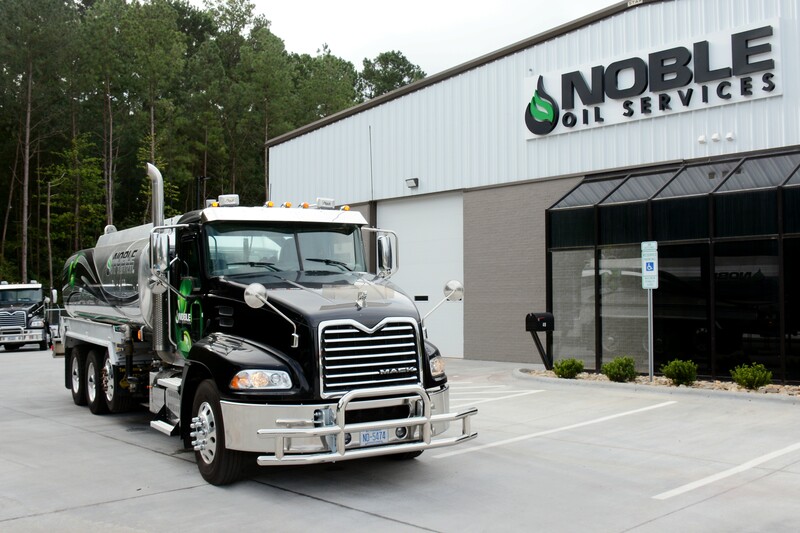 Both models feature a flexible metal spigot or a heavy duty flow-through brush. 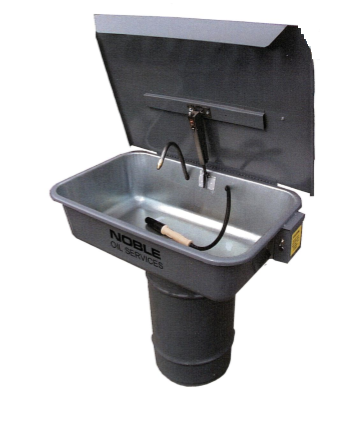 The drain filter system is designed for easy cleaning. 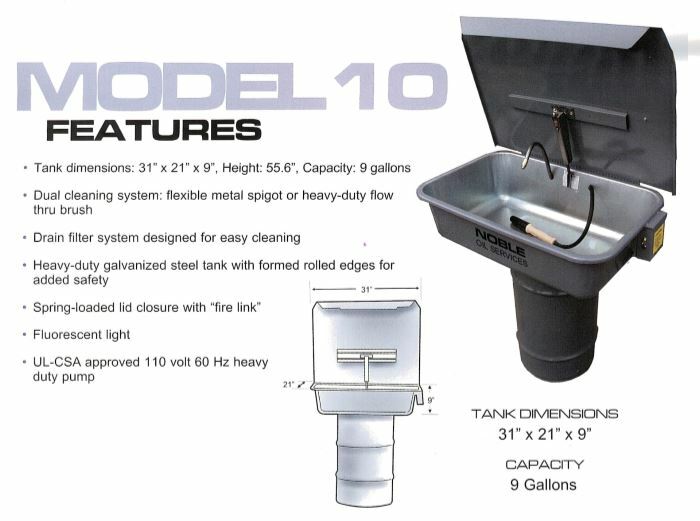 Tank is constructed from a heavy duty galvanized steel with rolled edges for added safety. Both models boast the same features and functionality, only the sizes are different. See the picture below for more information. Tank Dimensions: 31 in. X 21 in. X 9 in. 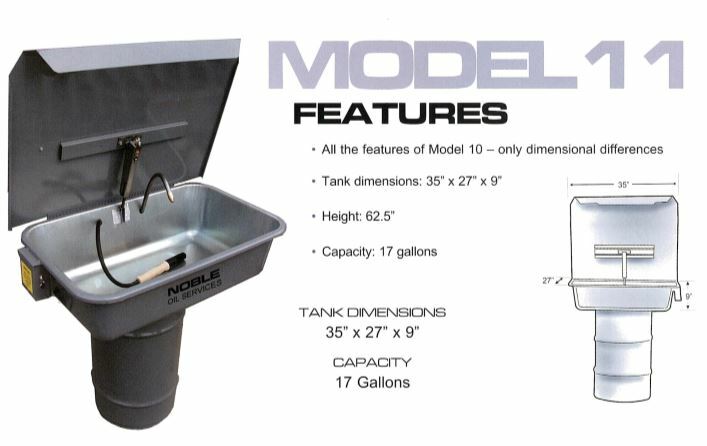 Spring loaded lid closure with "fire link"
Tank Dimensions: 35 in. X 27 in. X 9 in.